A Hallmark Keepsake ornament is much more than an ornament-it's a little work of art that tells a big story. From people and things you love, to memories of the past, to capturing today's important moments, a Keepsake celebrates the story of you! 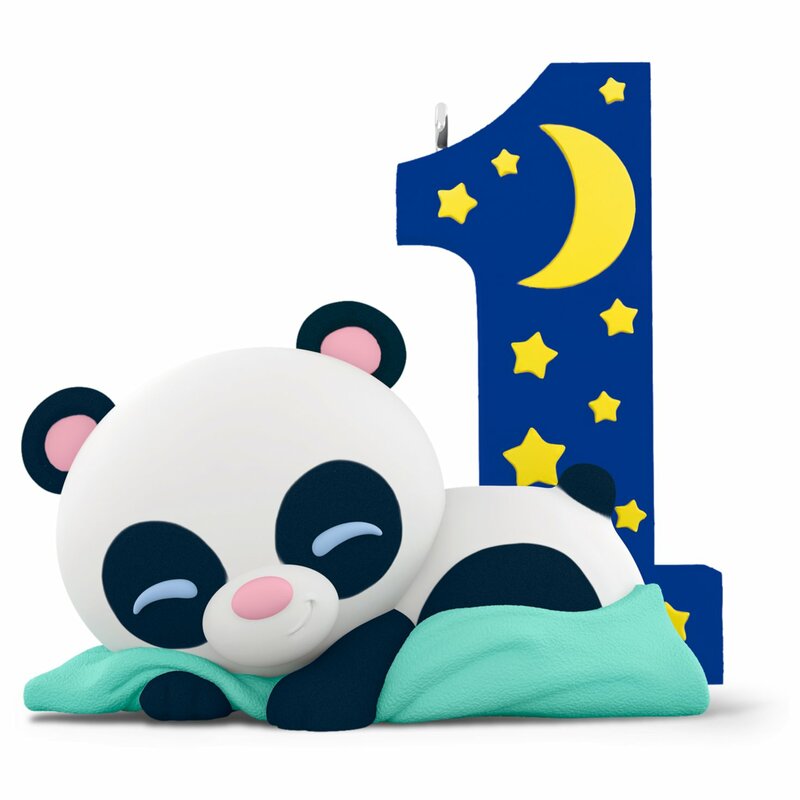 Baby's first year is all about smiles, babbles, naps, giggles and a world of love. Always remember this fun and adorable age with your baby's very own Keepsake Ornament. Artist crafted by Jake Angell. Perfect baby shower gift, 1st birthday gift, and present for children celebrating their 1st Christmas.